You’re all probably too busy buying or selling real estate to read this, given the current market frenzy, but here’s the mortgage market monthly rundown. I’ll try to keep it short, so you can get back to the action! 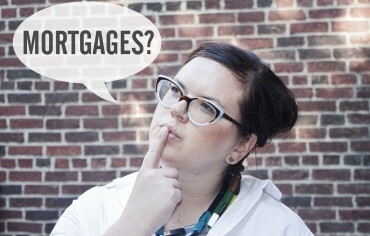 An array of new mortgage offers popped up this month, which can only mean one thing: it’s war! Bank of Montreal CFO Tom Flynn recently confirmed in an interview with BNN that the bank’s strategy to gain market share in the mortgage market is to offer low rates, which was rather unsurprising. What is surprising, however, is that BMO’s 2.99% mortgage rate was nowhere to be found this month, and the spotlight shifted to some other lenders, including an unlikely contender: Investors Group. Investors Group came out of nowhere with the lowest mortgage rate in recent history, offering a 3-year variable mortgage rate at 1.99%. The only other time we saw a rate drop below 2.00% on our site was April/May 2010. The publicity that ensued was wild but, alas, short-lived. The offer has already expired. In case you’re a mortgage or real estate super nerd, we summarized the ins and outs of the Investors Group offer here. Not to be outdone (or rather – to newsjack the publicity), Scotiabank and RBC saw Investors Group offer and decided to come out with their guns blazing. 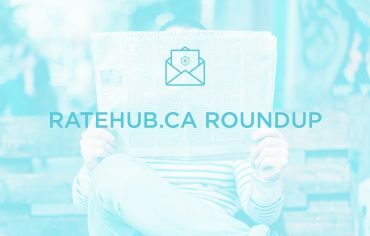 Scotiabank is now offering a 2.97% 5-year fixed mortgage rate (too bad lower rates have been available for months through independent mortgage brokers), and RBC launched a realtor referral program targeted at first-time homebuyers. We’re not entirely convinced a $1,000 referral payout for five first-time buyers will translate to much business for the bank, but hey, at least it’s a creative incentive! Who will win this mortgage war? I think it’s fair to say Canadian borrowers. What Goes Down Must Come Up? Mortgage rates and housing prices often have an inverse relationship, so as rates have continued to fall housing prices have continued to rise. The average price of a detached home in Toronto jumped 13% to $965,670 in April year-over-year, while the average detached house in the country’s priciest real estate market, Vancouver, sold for close to $1.2 million. This naturally translated to reduced affordability. According to RBC’s recently released affordability index – a widely used industry proxy – the proportion of household pretax income required to own a home rose 0.3 percentage points to 49% for two-storey homes and by 0.1 points to 43.2% for detached bungalows in Canada. This is above the 32% recommended gross debt service ratio set by the CMHC. Our CEO, Alyssa Richard, chimed in on the deterioration in Canadian housing affordability on CTV News last week. You can watch it here. The penalties charged to break your mortgage are not only extremely costly (we’re talking thousands of dollars) but extremely confusing to understand. So, we built some pretty darn comprehensive refinance calculators and also started a blog series on how each bank calculates their respective penalties. If you’re familiar with the notorious game Cards Against Humanity, you can imagine how excited we were to find out we’ve been included in the real estate spinoff Cards Against Real Estate! Our friends over at BuzzBuzzHome are the ones behind the new spinoff, and deserve big props for imagining up this new industry diversion! If you’re not following us on Facebook, Twitter and Google+, you’re missing out on special announcements, contests and up-to-the-minute news. And did we mention our monthly newsletter, which provides an overview of the best of the best? Subscribe here.